Are you looking for something awesome and unique for your children this summer? Are you looking to blow their minds with the latest and greatest coolest toy on the market? 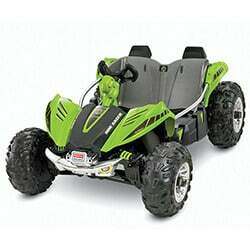 If so, then the Power Wheels Wild Thing by Fischer Price is exactly what you have been looking for and waiting for. This toy is designed to bring your children’s wildest adventures to life by offering them a toy that provides more than just some simple fun. It provides an endless experience with incredible memories that will last a lifetime. What’s Power Wheels Wild Thing weight limit? Where to buy Power Wheels Wild Thing? 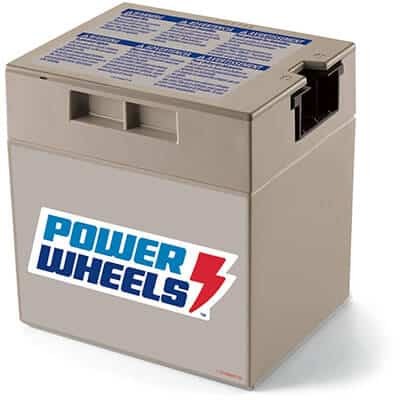 What battery is used in Power wheels wild thing? Where I can download Power Wheels Wild Thing manual? Is there any Power Wheels Wild Thing for adults? 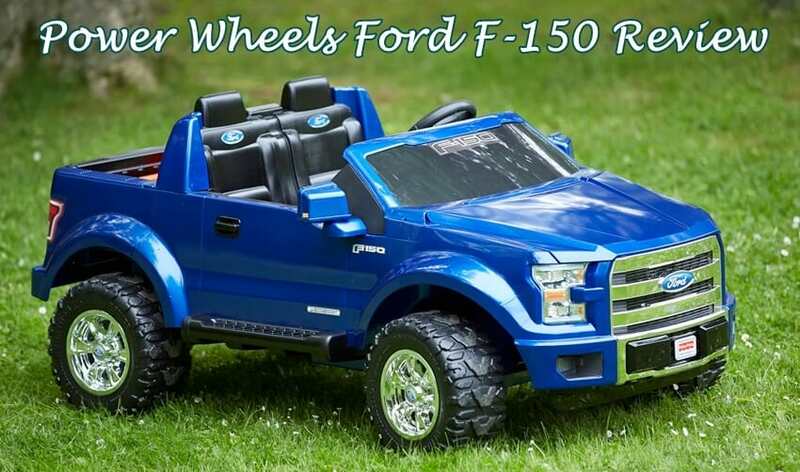 What discount can I expect when buying Power Wheels Wild Thing on Black Friday or Cyber Monday? The Power Wheels Wild Thing is a rideable toy that will take your young children on new adventures they have not yet dreamed of. 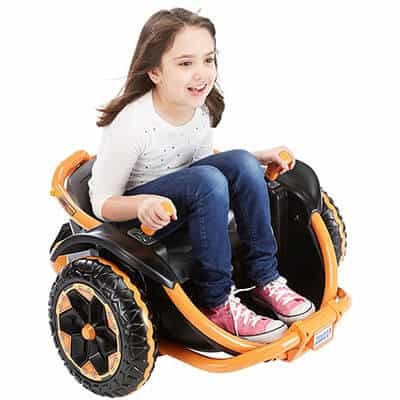 Different than other rideable toys, this particular model features a two-wheeled design where your child sits in the operator seat between each tire, driving the vehicle with dual joysticks. These joysticks work together to control the steering in both forward and reverse directions. The design of this toy, coupled together with the dual joysticks, allow for quick and fast turnings on a minute radius, giving your child 360 degrees of spinning and fun! The Power Wheels Wild Thing is able to travel at speeds of up to 5 miles per hour in the forward direction and 2,5 miles per hour in reverse. Your child can be zooming across the yard at speeds that are thrilling and exciting for them while still giving you the peace of mind of knowing their safety is the top priority. Located under the seat are 4 parent-controlled speed settings which make it nice and easy for children to master the controls while you, as the parent, can monitor the speed at which they are able to travel. This works to further increase your comfort in maintaining your child’s safety. 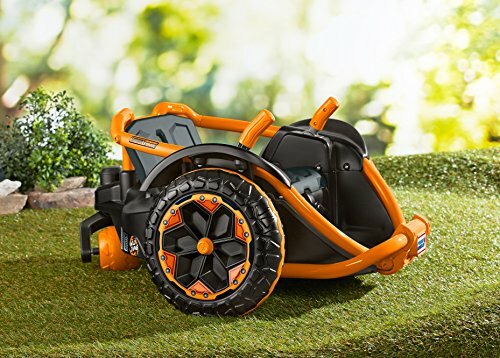 The two large, durable tires on the rideable toy allow for driving on multiple terrains and surfaces, so no matter where you and your children plan on embarking upon on your next adventure, you can take the toy with you so their fun and memories can continue! The tires provide profound traction, making their ride more comfortable, allowing for more terrains to be explored, and increasing the safety of their experience. Recommended for children ages 5 to 10 years old, the toy comes complete with included batteries, so your children can get started on the excitement right away. The toy also has a weight recommendation of up to 100 pounds. 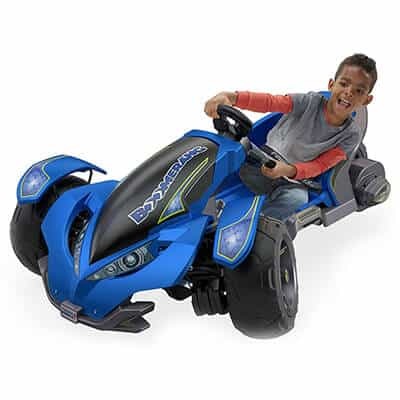 Parents and children both love this rideable toy because of the uniqueness this toy presents! Parents have described that their children can’t stay off the Power Wheels Wild Thing because they have such a great time riding with their loved ones! Wild Thing is available in four colors: orange, pink, green and blue. 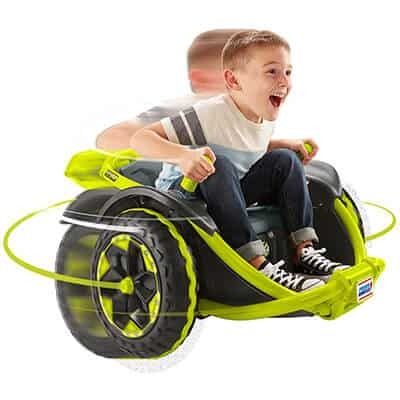 This ride on vehicle for kids available in major stores, like Walmart, Toys R Us, Kohls, Target and more, but we recommend to buy Wild Thing on Amazon. Wild Thing operates 12-Volt Rechargeable Replacement Battery. Click here to download Wild Thing Manual (PDF). No, this riding toy is only for kids aged 5 to 10 years. Usually, the price may go down to 20% off. 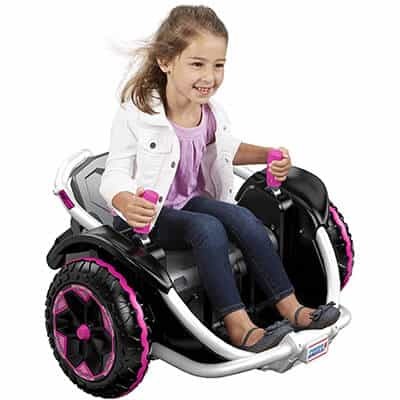 The Power Wheels Wild Thing by Fischer Price is a unique rideable toy that all children are destined to love. 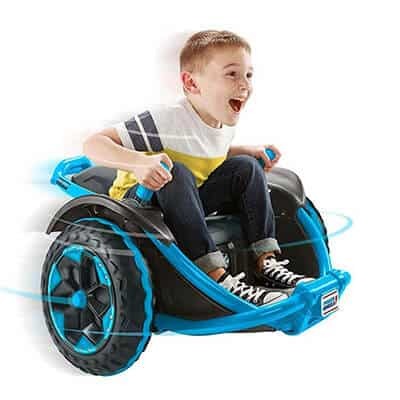 With its special two-wheeled design and dual joysticks that give your child the power to steer themselves, whether its forward or reverse, this toy is one that will bring smiles to your children’s face and laughter into your household all year long. You could make your child the happiest on the planet this summer by getting them this toy, whether it be to celebrate their birthday, a holiday, or the season itself! Start new adventures and make new memories with this one-of-a-kind rideable toy today.